Ron the Greek is a familiar face at the Dubai World Cup. Even though Meydan Racecourse is more than 8,300 miles from Santa Anita Park, fans will be seeing some of the same faces they have seen in the Breeders’ Cup World Championships program, and at other venues in North America, over the past few years. As the richest day of racing in the world, the Dubai World Cup card provides entertainment for every racing interest a fan might have — from a 3-year-old Kentucky Derby prep race to multiple races with the best turf runners in the world. Don’t miss all of the coverage from Meydan Race Course on Saturday, starting with the first Thoroughbred race of the card at 9:10 a.m. ET. FOX Sports 1 will be broadcasting live from the Dubai World Cup, beginning at 1 p.m. ET. The richest race in the world is without a single US entrant in 2014, just a year after the US-trained Animal Kingdom won the Dubai World Cup. However, ex-pat Ron the Greek will be competing in the race with old friend, American-based rider Jose Lezcano, on his back. The 7-year-old horse was sold to Saudi Arabian connections late last year after he was scratched from the Breeders’ Cup Classic. He has run in his new country since then, winning an allowance race by 2¼ lengths a little more than a month ago. He drew the outside post in the 16-horse field, which could be difficult to overcome, but many Americans will celebrate his victory if he pulls off the win. The favorite in this race is last year’s Epsom Derby winner Ruler of the World. Ruler of the World made headlines this week before the draw when Coolmore sold 50 percent of the colt to Al Shaqab Racing. He will race in Al Shaqab’s colors in the Dubai World Cup but will still be trained and ridden by Aidan O’Brien and his son Joseph, respectively. Ruler of the World hasn’t won a race since his classic victory but has come close, most recently finishing third in the Champion Stakes on British Champions day last October. Flying in from Hong Kong is Military Attack, who is 8-1 on the morning line. The gelding has been talked about a lot since his entry was mentioned and for good reason. He won his last race by three lengths and has won four Group 1s since last February, including two editions of the Hong Kong Gold Cup. However, all of these wins came on turf, so a switch to the synthetic Tapeta Footings surface might be a weak point for the gelding. He will be meeting up in the Dubai World Cup with familiar Hong Kong foe Akeed Mofeed, who most recently finished fifth in Military Attack’s February win in the Hong Kong Gold Cup. Akeed Mofeed did beat Military Attack in December, so if you think either one of the two is capable of winning, you’ll be well suited to look at the other as well. However, Akeed Mofeed also is dealing with the switch from turf to Tapeta in this race. One final horse that must be mentioned is Red Cadeaux. While Animal Kingdom is enjoying retirement, Red Cadeaux is returning to the Dubai World Cup after finished second last year. The gelding has literally traveled all over the world since starting his career in 2009 and has proven that he can handle this surface and distance. He hasn’t won since December 2012, but his performance last year definitely makes him a contender. 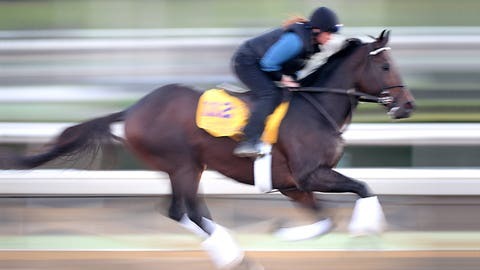 With the Florida Derby and Louisiana Derby running later in the day, much of the attention saved for Kentucky Derby contenders will be focused on those two races and for good reason. But the United Arab Emirates Derby provides 100 points to the winner with second through fourth also earning points for the Kentucky Derby with the 40 points the second-place finisher earns also potentially being enough to punch a ticket to Churchill Downs for early May. However, only three Triple Crown nominees are entered in the 12-horse field. Giovanni Boldini, one of those Triple Crown nominees, is the 5-2 morning-line favorite for the race and is making his first start since finishing second in last year’s Breeders’ Cup Juvenile Turf. The colt’s undefeated record on all-weather surfaces should help him here as should breaking from post-position five. One important fact to note is that Giovanni Boldini’s trainer, Aidan O’Brien, has won this race the last two years and both of those winners subsequently competed in the Kentucky Derby five weeks later. An interesting thing about the UAE Derby is that it is both Northern Hemisphere 3-year-olds (those born on Jan. 1, 2011 or later in the Northern Hemisphere) and Southern Hemisphere 3-year-olds (those born on Aug. 1, 2010 or later in the Southern Hemisphere) are allowed to run in the race. While Southern Hemisphere horses will be carrying 10 pounds more than the Northern Hemisphere runners, that doesn’t keep the Australian-bred Long John from being the morning line second-choice. The gelding comes into the race with six wins in nine starts, including a dominant 4½-length win in the UAE 2000 Guineas earlier this year on the Tapeta surface while carrying the 131 pounds he’ll tote in the UAE Derby. Another colt who looks as though he could be a big threat is Asmar, who broke his maiden in a stakes race here last time out at 1 3/16 miles, winning by six lengths. He is a Northern Hemisphere-bred, so he’ll be carrying 121 pounds in this race. In addition to Giovanni Boldini, fellow O’Brien trainee Sir John Hawkins and the Jamie Osborne-trained Toast of New York both are nominated for the U.S. Triple Crown. The Breeders’ Cup is well-represented at this year’s Dubai World Cup meeting as a Breeders’ Cup winner is competing in the Sheema Classic. Magician hasn’t run since his win over The Fugue in the Breeders’ Cup Turf last November but that shouldn’t worry anyone as his trainer, Aidan O’Brien, won this race last year with the ill-fated St Nicholas Abbey with the same sort of schedule. While Ryan Moore was on Magician for his Breeders’ Cup Turf win, O’Brien’s son Joseph takes back the mount for this race. He has been on the colt four times with one win. Japanese fan favorite Gentildonna will attempt to avenge her loss to St Nicholas Abbey in last year’s Sheema Classic and regain her winning form. Since ending a long winning streak in last year’s edition of this race, Gentildonna has only won once and most recently finished sixth in a Japanese Group 2 race in February. Don’t let her recent record fool you though, Gentildonna won Japan’s Filly Triple Crown in 2012 and is the only two-time winner of the Group 1 Japan Cup. The filly who finished second behind Gentildonna in last year’s Japan Cup, losing to the mare by just a nose, is Denim and Ruby. She is looking to turn the tables in a Sheema Classic rematch. The filly is a three-time winner, including two Group 2 victories last year, but her nose loss to Gentildonna in the Japan Cup might be her career-defining moment up to this point. While I mention in the Dubai Golden Shaheen below that I think Zee Bros is America’s best hope for a victory, it isn’t because of Twilight Eclipse’s lack of talent. The 5-year-old gelding is coming into the Sheema Classic on a two-race win streak and can be counted on in most races to hit the board, but a field of this caliber is a tall order for him. He’s already faced Magician once, finishing sixth in the Breeders’ Cup Turf ,and this race isn’t going to be any easier than that, which probably accounts for his 20-to-1 morning line odds. The Dubai Duty Free is a competitive race from the inside post to the outside. Two of the most accomplished horses in the field are Dank and The Fugue, both recognizable names to American racing fans. Dank was the U.S. champion turf female last year and The Fugue finished second in the Breeders’ Cup Turf. Dank is, unsurprisingly, the American morning-line favorite for this race after winning three straight group/graded stakes races, including the Breeders’ Cup Filly and Mare Turf. This will be only the second start against males for the champion with the previous race resulting in a ninth-place finish. That race was in May 2012, however, and Dank has improved by leaps and bounds since then. The Fugue is coming off of a two-race losing streak but both of those losses were in Grade/Group 1 competition in tough international competition. This talented mare has won against males in the past, most recently in last September’s Irish Champion Stakes, in which she early won against the highly regarded Al Kazeem. The biggest challenge for The Fugue may be the shorter distance. She has been running in longer route races and hasn’t competed in a race shorter than 1¼ miles since her second career race in May 2012. The Fugue did, however, break her maiden in her career debut at seven furlongs. The two Europe-based females will be taking on Japan in this race as Just A Way ships in after winning two straight group stakes in his native country, including the Group 1 Tenno Sho (Autumn) last October against Gentildonna. His last race was earlier this month, when he beat fellow Duty Free entrant Logotype in Japan. However, the biggest threat in this race may come from the Mike de Kock-trained, South African-bred Vercingetorix. The 5-year-old is undefeated in six starts and has impressed this spring with his two victories at Meydan. While the margins of his victories in Dubai aren’t eye-opening, the way he won the races tells a totally different tale. Vercingetorix is just 5-1 on the morning line against this field but he fits in with the top half of the horses running in this 14-horse field. In the first Thoroughbred race of the day, 2012 Breeders’ Cup Juvenile Fillies Turf winner Flotilla will contest the Godolphin Mile against males. The filly is listed at U.S. morning-line odds of 12-1 and will be searching for her first win since annexing the Group 1 French Two Thousand Guineas last May. The other filly in the field, Shuruq, is coming off of a win against males during Dubai’s Super Saturday card on March 8. While she tossed in a clunker against females in the Dubai Cape Verdi on turf earlier in the year, she is sitting on two wins this season on the synthetic Tapeta Footings surface that she will race on in the Godolphin Mile. The horse who finished second to Shuruq on March 8 is Variety Club. The winner of 15 of 21 races, including nine straight before his loss to Shuruq, Variety Club will have the challenge of coming out of post position 15 to contend with in the Godolphin Mile. A familiar face to those who watched last year’s Dubai World Cup day is Soft Falling Rain, who won this race last year at the end of a seven-race winnin streak that dated to the start of his career. The colt made three starts last year in England, where he won and placed in Group 2 events, but he is looking to get back on track after off-the-board finishes in his last two starts. 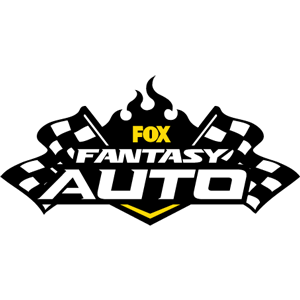 This is yet another race in which last year’s winner is coming back in search of a repeat victory. Reynaldothewizard, who won last year’s race by a neck over Balmont Mast, drew post-position five while Balmont Mast will be coming out of the two hole. Like others on the card who race exclusively in Dubai, Reynaldothwizard didn’t race for the rest of the year after winning the Golden Shaheen and has only two starts this year. He did finish second to Rich Tapestry on March 8 and looks to get back to his winning ways this weekend. Rich Tapestry, who is breaking from post-position 12, is listed at 4-1 morning-line odds and much of that can be credited to his win last out. Zee Bros, who drew post-position six, probably is America’s best hope of a victory on this year’s Dubai World Cup card. Zee Bros ran a disappointing 11th last time out, but that was on the turf and the colt returns to the Tapeta surface for this race. He put in a strong run in his Meydan debut on this surface back in February, so a win by him wouldn’t be a huge surprise. Last year’s Al Quoz Sprint winner Shea Shea returns to defend his title in the fifth race of the day. Trained by elite trainer Mike de Kock, Shea Shea came into this race in better form last year but he is coming off of a win in the same race he won as a prep last year. Sole Power finished fourth in his Meydan prep race here on March 8, but the gelding is a Group 1 winner at this distance and finished second in the Hong Kong Sprint in December, making him a threat even if one is worried about his March result. In his Group 1 victory last June, he beat Shea Shea. That is definitely a perk when looking at this race. This race is also the first time we see an American-trained horse as Berlino Di Tiger will be breaking from the seven post in this field. He’ll have a lot of work to do if he wants to be competitive in this field since he hasn’t hit the board in two starts this year. The 5-2 morning-line favorite in this race is the Godolphin-owned Cavalryman. While the 8-year-old horse has only won once in his last four starts, it was over this track in his first start of the year. In addition, he is last year’s winner of the race and is one of only three horses in this field to have won at this distance. The way he won his 2014 debut also shouldn’t be discounted. 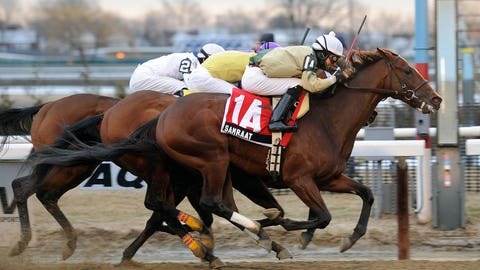 He made the victory look easy, pulling away to cross the finish line 5½ lengths in front at 1¾ miles. Star Empire, the horse who finished second in Cavalryman’s tour de force, looks to break a five-race losing streak dating to March 2013. But don’t discount the horse too much as he has proved consistent during that stretch, only finishing off the board once in that time. The Mike de Kock trainee received nearly a year-long break before finishing third in his return this year. Proving how much some of these horses travel, American racing fans will also recognize a familiar name in this race. British-based, three-time Canadian International Stakes winner Joshua Tree will be breaking from post position seven. While Joshua Tree skipped the Dubai meet in 2013, he finished second by thre-quarters of a length to Opinion Poll in this race in 2012.